"[W]hatever falls under the dominion of our senses must be in nature and, however exceptional, cannot differ in its essence from all the other effects of the visible and tangible world of which we are a self-conscious part... I am too firm in my consciousness of the marvelous to be ever fascinated by the mere supernatural, which... is but a manufactured article, the fabrication of minds." 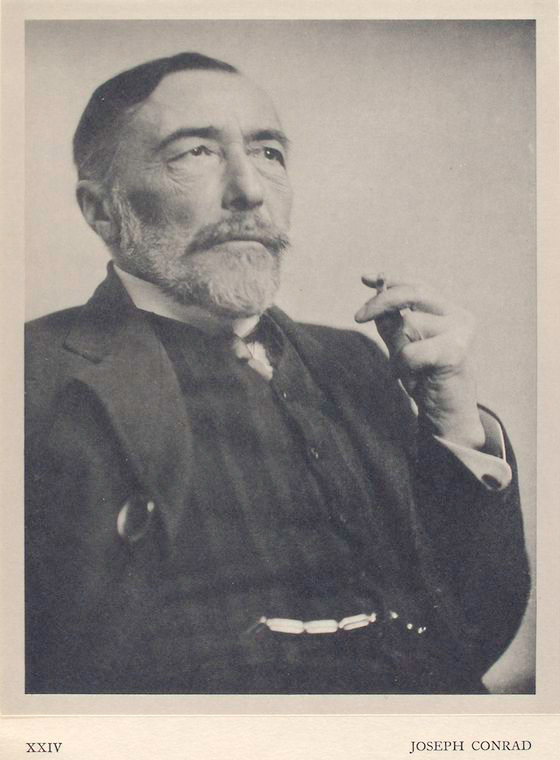 (Joseph Conrad). There are a number of reasons to hold such a view. First, there is the argument from awesomeness: God is neither necessary nor sufficient in order to find nature awesome. Nature is awesome enough without God. Or perhaps the argument from sense: Some thing exists if and only if it is visible and tangible. God is not visible or tangible. Therefore, God does not exist. There are, of course, some reasons to doubt our esteemed author. How about an argument from consciousness? Consciousness is neither visible nor tangible. Therefore, either consciousness does not exist or there are things that are neither visible or tangible that exist. Or perhaps a couple of arguments from hierarchies of awesomeness. First, once could connect awesomeness with "fabrication of minds": There are things that are in the world that are not awesome (evil, for example) and some things that are less awesome than others. There are ways one can imagine the world to be that would be more awesome than the way things actually are. Therefore, there are things that are more awesome that are "manufactured article[s], the fabrication of minds." Second, one could make some suggestions along the following Thomistic lines: things have awesome-making properties to varying degrees. Our ability to judge something having awesome-making properties to varying degrees presupposes the possibility of a something that has awesome-making properties to a maximal degree. God is the only good candidate for such a possibility. If one's "consciousness of the marvelous" is directly related to the awesomeness of the object then God should be considered more awesome than nature. The final step--God's existence--might follow from this, but even I find it unpersuasive (and I believe in God!). But all one has to show is that the supernatural would be more marvelous than nature without the supernatural.